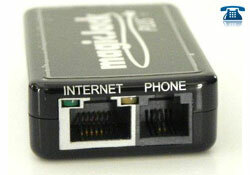 The MagicJack Plus™ is simple to use, plug phone into its phone jack or plug into computers usb port. $19.95 every year after! It includes the option to transfer existing phone number or request a new one for free. Free outbound local and long distance calls. Talk for FREE anywhere in the USA and Canada. Make the tomato salsa: combine the tomatoes, onion, oil, vinegar, and cilantro. Cover and chill. Cook the carrots in boiling salted water until tender. Drain, reserving 1/2 cup (125 ml) of the cooking liquid in a bowl. Crumble the '/2 bouillon cube into the reserved cooking liquid and stir to dissolve. Sprinkle the gelatin over the top. Leave to stand for 3 minutes or until the gelatin has softened. Put the bowl into a pan of simmering water and heat for 3 minutes or until the gelatin has dissolved. Heat the oil in a skillet, add the onion and garlic, and cook gently, stirring occasionally, for a few minutes until soft but not browned. Add the tomatoes and cumin seeds and cook for 5-7 minutes, until the mixture is thick. Puree the carrots and the tomato mixture in a food processor until smooth, then add the fromage blanc and salt and pepper to taste, and puree again. Add the gelatin mixture and puree once more. Oil the ramekins and spoon in the carrot mixture. Cover and chill for at leastS hours. Garnish with the cilantro leaves and watercress and serve with the tomato salsa.